Verizon S6 mobile data toggle was removed from quick settings?!?!?! It was just there this morning, and now it's gone! How do you get the data toggle back!?! As far as I know, I didn't get any software update on the phone, at least I didn't get prompted. My wifes phone is also missing the toggle. My mobile data was off....now the toggle is gone, wtf Verizon. I've taken the latest update and I still have the toggle. I'm not sure why yours disappeared. That's weird. Did you check to see if it's just hidden. Slide the notification shade down and tap the pen at the top right. Should give you access to all toggles. You can then drag and drop into the first two rows to have access to it anytime. I lost my toggle between 5 p.m. and 6 p.m. today. I hadn't taken the newest update yet, but I did to see if it would fix it. It is missing from my quick toggle settings, hidden or otherwise. I write from Spain! When i have woke up this morning, I have it lost too. I'm using Yoigo, and I haven't updated anything. As sp2pilot said, it's impossible to add again. Only can activate it on general settings. That's bizarre...Verizon S6 Edge here in the US...the Mobile data toggle is still on mine right where it's always been. I'm in the UK using a sim/network free S6 and it's gone for me also. This is weird. Very sporadic. I'm also on Verizon and I still have mine. There's also another thread about this too. I'm on Verizon in the US as well and I installed the update earlier today and it's right where it's always been. Same thing happened with me on my Note 2 a ways back, I just swapped it with something else in the new quick tray is all. Lost on my s6 too. Using vodafone from australai. I'm on Verizon in the US and I still have all my toggles, right where I left them. 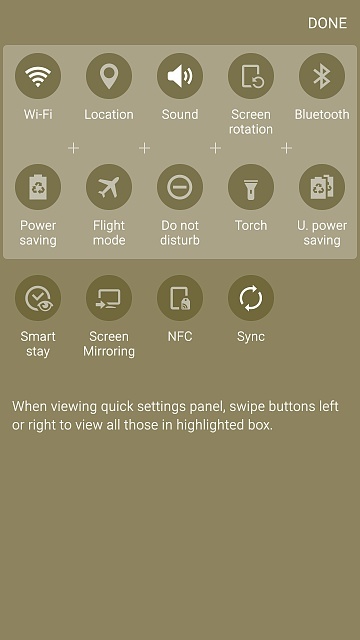 I have global SM G920 F and i lost 4 toggle icons to. Anyone know how to fix it? Data, hotspot, quck C, privite mode are gone. I am in Doha and lost the mobile data toggle too. I reset the phone to factory setting and the toggle returned. Lost mine to. Bought outright here in Australia. I always switch my data off when I'm not using it. Stupid to remove it. Even I have the same problem and I'm from India. I lost toggles between 7pm to 8pm yesterday. I didn't even update my phone or anything. Also gone here. I hope they fix it soon. Why does my Galaxy S6 freeze while charging? How do I bulk sms from my app for free? 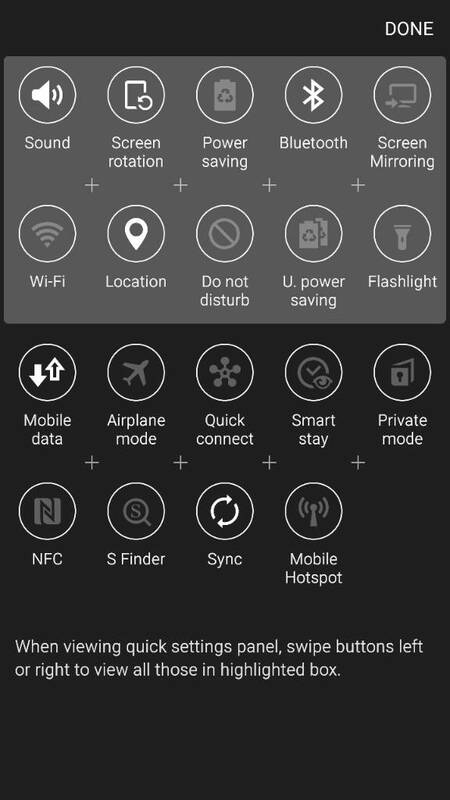 How do I set my Samsung S6 Edge ringer on vibrate and notification to sound? Galaxy s4 L720TVPUCOD2 update, how can I remove it? Lollipop Update on Galaxy S4 Sprint, how can I remove it?